GymValet Equipment Cleaning System in place at grand opening of new Planet Fitness in Mentor, Ohio. While GymValets are helping to keep exercise equipment clean and safe in fitness facilities across the US, Canada and around the world, it is always fun to actually see GymValets in action at local gyms. This week I had the opportunity to visit the newest Planet Fitness in the Greater Cleveland area, during their grand opening ceremonies. 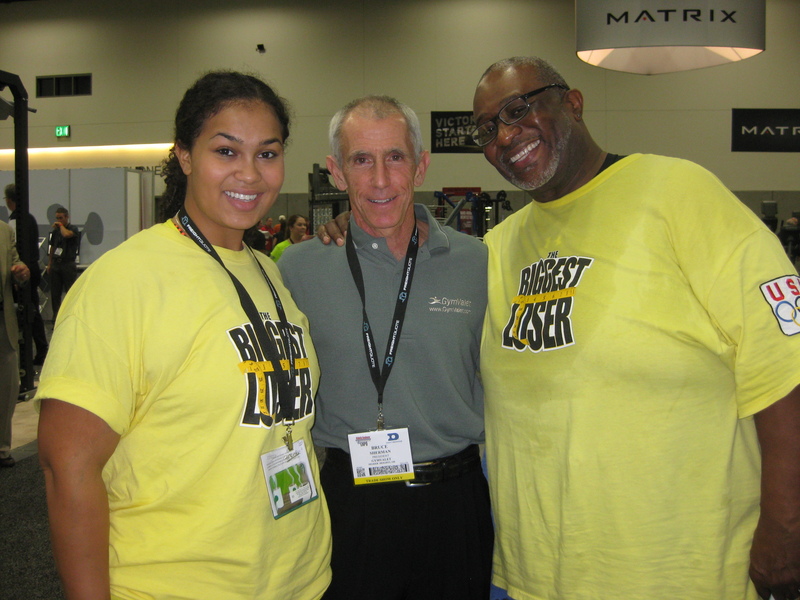 Planet Fitness was buzzing with both local “luminaries” and, most importantly, hundreds of new members who were generating a lot of human energy pumping-out their cardio and strength workouts. And there, at the ready, strategically placed all over the gym floor were over 100 GymValets–placing the sanitizing spray bottles and wiping towels conveniently right at hand, within arm’s reach or a step or two, to every piece of equipment! With vigorous exercise comes “vigorous” sweat and a lot of body contact with machine surfaces! I was very impressed to see how naturally and easily the members wiped off and sanitized their just-used equipment, making it clean and safe for use by the next exerciser. 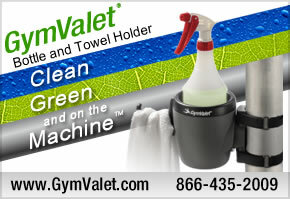 A beautiful marriage of the convenient access, to equipment cleaning supplies, the GymValet holder provides, and pride and respect Planet Fitness members have for their fellow members and their beautiful club. Piggy-backing on winning the Tri-County Environmental leadership Award, I visited (one of) the Planet Fitness gyms in the Lansing, MI area. Vibrant and busy gym–in the middle of the afternoon! 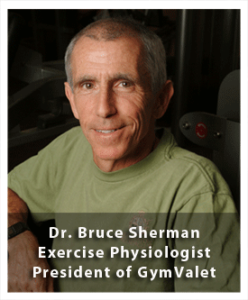 Check out what I consider to be one of the most thoughtfully–for the members–configured GymValet Equipment Cleaning System gyms I’ve ever seen. Convenient and safe equipment cleaning for the members; saving $25,000 per year on disposable paper (waste) costs for the club – Win-Win! I am very proud that the GymValet was recognized along with Planet Fitness Gyms, in the Greater Lansing, MI area, for a 2015 Tri-County Environmental Leadership Award. GymValet has been credited with decreasing Planet Fitness’ carbon footprint by the elimination of “wasteful” equipment cleaning using non-recyclable paper towels and/or disposable single use wipes. Additionally, GymValet based cleaning is also credited with saving each Planet Fitness gym over $25,000 per year in disposable paper costs. Thanks to Fred Mussehl, Regional Manager for five (soon to be six) Planet Fitness facilities in Michigan and Ohio, for recognizing the environmental and economic benefits of the GymValet. And, best of all, Planet Fitness members truly appreciate the convenient and effective cleaning that GymValet promotes. 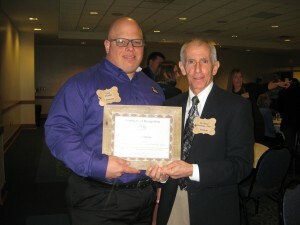 That’s Fred and me at last week’s TECLA Annual Awards Luncheon. If equipment could talk, this piece would be screaming, “Clean Me”! This picture shows an example of why I invented the GymValet. As I walked in to MY health club (no names, please) last evening, I passed by a piece from the Hoist Rocket series. There, dripping down the head pad was someones sweaty, greasy calling card. DISGUSTING!! So disgusting that I had to stop and take a picture of icky mess. Shame on the person who left the machine in that condition. However, shame, shame on on the club for not providing and easy and convenient way for “sweaty- head” to clean and sanitize the machine immediately after using it. Believe it or not (even Mr. Ripley wouldn’t believe this one) the closest sanitizing station the piece of equipment in question is about 100 feet away!! No comment on why MY club doesn’t have GymValets, or at least position equipment cleaning/sanitizing supplies “right at hand” for its members to use. I will comment that it is a shame that a MAJOR club (chain) is so negligent and oblivious to the health and safety risks posed by body fluid stained/soaked equipment. Ever hear of MRSA and Influenza? Do you have any idea how germs and viruses are transmitted in the health and fitness club setting? Well, the “ignition” to transmission can be as simple as a disgusting sweat-spot on a piece of equipment! Wake up, “major” club! Clean up your act. 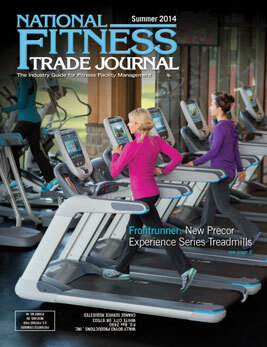 GymValet hit the “fitness news stands” this month with a 2-page article in the Summer 2014 edition of the National Fitness Trade Journal. The article, GymValet vs. Disposable Wipes,” guides fitness facility owners and managers through a comparison of the: 1) costs, 2) effectiveness and convenience, and 3) environmental impact of the two most popular methods of fitness equipment cleaning and sanitizing. Many thanks to Wally Boyko, editor and publisher of the NFTJ for giving me the opportunity to educate and enlighten fitness industry professionals on this very important topic. To check out my article, and learn more about the topic of fitness equipment cleanliness (nobody likes icky, smelly, sweaty equipment!) click on the link below and scroll forward to pages 30 & 31. Just a quick post of concern regarding the epidemic levels of seasonal flu that are being reported on and through most every news outlet every day. Seasonal flu outbreaks are quite normal this time of year–affecting many people in almost every state in the US–but the reports state that the number of reported cases is significantly up this year. The good news is that we are supposed to be about half-way through the flu season; the bad news is that we still have about half of the season (another six weeks or so) to go. No need to speculate on the cause. Flu happens! But, from my viewpoint I just wanted to reinforce the need for fitness facilities–across the US–to make every effort to protect the health and safety of their most precious and valuable commodity–their members!! MRSA: Pretty Colors; Pretty Deadly! Good personal hygiene and regular sanitizing of “body-contacted” hard surfaces have been cited over and over, year after year, as the best first-lines of defense against contracting and/or spreading of potentially deadly germs and viruses. 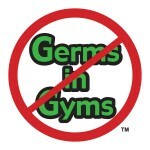 Be assured, the germs in gyms issue is NOT a seasonal issue—it is a year-round issue/concern/problem. 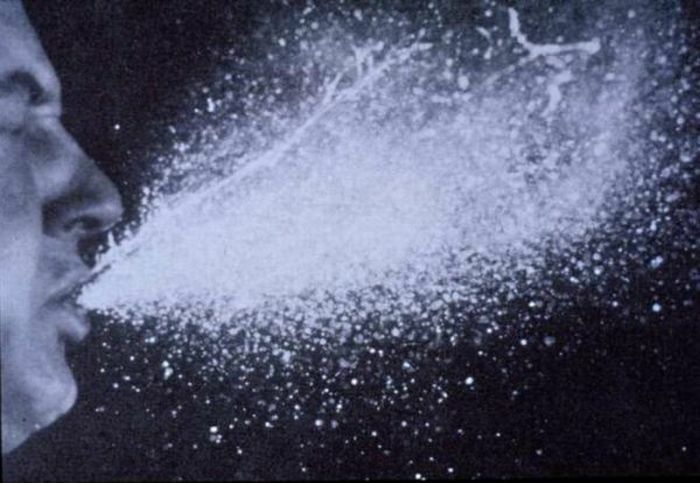 Germ and virus transmission can happen in the “community” gym/training setting 24/7, 365!! Ms. Brody’s article, the latest story to “creep to the top of the (New York Times’) most popular articles list,” is based on a position statement, “National Athletic Trainers’ Association Position Statement: Skin Diseases,” released in June by the National Athletic Trainer’s Association (N.A.T.A.). My simple bottom-line comment on this issue is this: The data, information, and recommendations are out there; it is incumbent on coaches, strength and conditioning coaches, athletic trainers, and fitness facility owners and managers to implement the appropriate “systems” to protect the safety their athletes and fitness participants. No excuses! And, it is incumbent on the athletes and fitness participants to utilize & execute the “systems” to the letter of the recommendations. No excuses! Play hard, play clean & play safe!! Who would have thought that a simple touch screen in an Apple store could host ickiness of that degree? Never underestimate the “power” of the fingertip!! 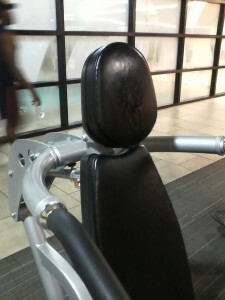 Now, imagine what could reside on the surface of gym equipment after repeated use by sweaty exercisers? 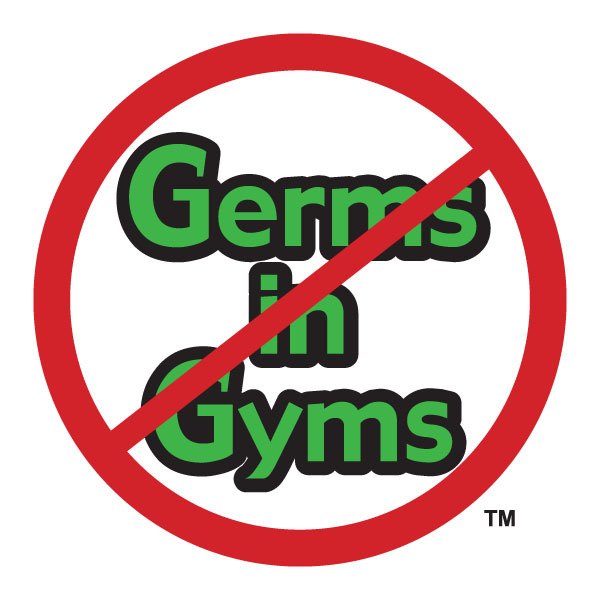 Oops, no need to imagine…I have previously posted on my blog a video of a Primetime expose´ on germs in gyms that raised many eyebrows a few years ago. Once again, and I can’t state this enough, we do not go to the gym to get sick. Sadly, that’s true of the Apple store as well. The bottom line: A little preventive and reactive hygienic care when we are out in public places touching “communal” surfaces is your best first line of defense against picking up germs, bacteria, and viruses. In other words, keep sanitizing gel handy, use it, and wash your hands frequently. In the gym—the venue that I am best equipped to discuss—wash your hands after you use the bathroom, and clean and sanitize every surface you touch on the exercise equipment you use (including mats and balls), preferably before and after use. Also, during your workout, keep your hands away from your eyes, nose and mouth—sometimes easier said than done when hard-earned sweat is dripping down your face and body. Who would have thought, that the old saying, “An Apple a day…” may not keep the doctor away after all? We decided to put the “is a reusable equipment cleaning towel really clean” controversy to the test! Our purpose was to test two towel wiping protocols—dry-towel wiping and disinfectant sprayed-towel wiping—against the “germs” of the fitness industry. Here comes the good science–enter the analytical testing lab, the professional Microbiologist, and a double-blind research study! Our experimental design involved studying two types of reusable-towel equipment cleaning protocols under equal-use conditions: 1) Towel-wipe only, i.e., no disinfectant solution available, and 2) Towel-wipe with disinfectant spray available—the equipment was sprayed then towel-wiped after each use. Here’s the bottom line conclusion from the Microbiologist: Cloth towels, when used in combination with a high-quality sanitizing solution, were determined to be clean and safe for reuse. 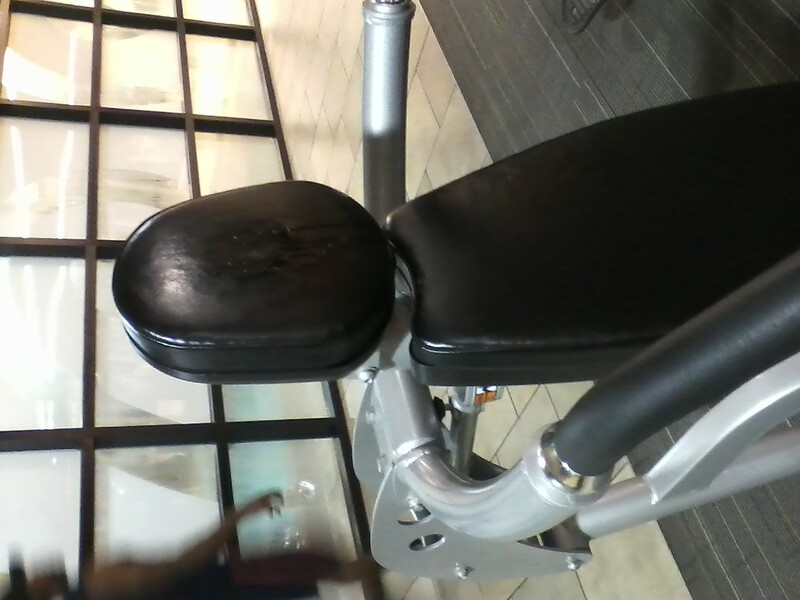 In other words, they proved to be a safe option for cleaning fitness equipment. Dry towel wiping, on the other hand was found to NOT be effective—you’re just moving germs from point A to point B! You can expand the dry “towel” concept to both paper-towel and disposable wipes wiping. How often do you see an exerciser wiping with a dry piece of paper-towel, or with a dry disposable wipe? From my experience, the answer is too often. A good rule of thumb is—one good wipe and the paper/wipe is dry: Once the “wiper” is dry it is INEFFECTIVE! So, PLEASE do not hesitate to pursue, switch to, and/or continue to use a disinfectant spray bottle and cloth wiping towel equipment cleaning system—keep the bottle and towel in close proximity to each other, and in close proximity to each piece of equipment. 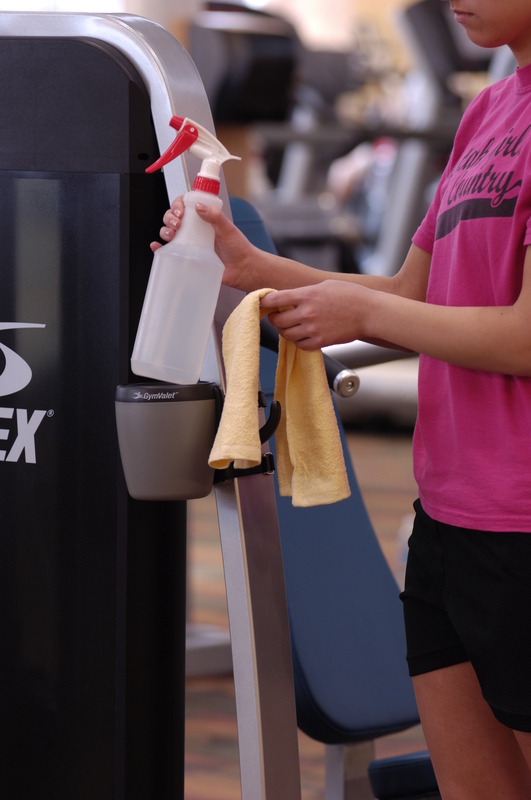 Believe in the science, believe in the scientists, and believe me…a spray bottle and towel equipment cleaning system will keep your exercisers safe and healthy, save you a lot of money and save the environment from unnecessary disposable wipes and paper towel waste! I have previously written that club cleanliness is a powerful member attraction, retention, and customer satisfaction tool. Need further proof…I refer you the “IHRSA’s Guide to Health Club Cleanliness” (2009) to read more on the topic. But now, let’s get visual. If you think that the “issue” of club cleanliness is something new, guess again. I refer you to the following expose´ that aired on ABC TV’s “Primetime” in January, 2005. This powerful piece speaks for itself; it speaks the truth—even in 2010. The bottom line is that “icky” and potentially “sicky” doesn’t sell. I don’t go to the gym to get sick, do you? Let’s all band together behind my mantra, “Spread Fitness, Not Germs!” See you at the “health” club. As I speak with fitness industry professionals around the country, and around the world, I am frequently asked about towels that are used to sanitize fitness equipment. Or to be more specific: Doesn’t a towel that gets used repeatedly to wipe away sweat become germ-laden from all that sweat? As health and fitness clubs continue to face economic challenges in 2010, keeping current members, and attracting new members, becomes more important than ever. So ask yourself: What drives your club’s current membership strategy? Are you the biggest club in town? The newest? Do you have the latest and greatest machines? Do you emphasize programming? Price? Convenience? Are you known as the club with the friendliest or most expertly trained staff? So many points to consider. And then there’s cleanliness. Yes, cleanliness. It’s something that more and more people expect from the clubs they join. Yet too many club owners and managers overlook cleanliness as a membership recruitment and retention strategy. It’s different. In today’s hugely competitive fitness industry, most clubs are likely to offer top-notch equipment, amenities and programming. Those that don’t will suffer. Certainly, you need to promote the things that make your club special. But while other clubs use similar features and benefits to define who they are, take ownership of cleanliness – it will set you apart. It’s appealing. People spend time in clubs to get healthier and stronger, not to contract germs, airborne illnesses and viruses that can live and breed on dirty equipment. A facility that promotes clean practices – and uses the right kinds of products to make it easy for members to clean equipment – is an appealing place to be; a place where members want to work out. It’s “Green”…but better. Sustainability is no longer just a movement. Today, it’s expected that businesses – health and fitness clubs included – embrace Green practices to some degree. Yet Green claims abound in the fitness industry, so raising your hand and saying “Me, too!” won’t make you different. You have to prove it! 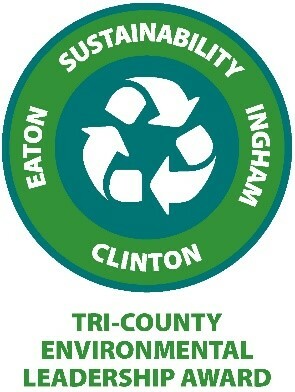 A very effective Green strategy is to deploy environmentally and economically sound cleaning and sanitizing products throughout your facility – from bottle/towel holders that attach to strength training and cardiovascular equipment, to Green-friendly sanitizing solution, reusable and durable spray bottles/trigger sprayers and towels, and hand sanitizer. You’ll save money, your members will enjoy a healthier environment, and you’ll have a genuine, defendable Green strategy to promote to current and prospective members. It will be really important in the years to come. The recent H1N1 pandemic demonstrates that viral transmissions are serious issues that affect people around the world, and around the corner. Staph. infections also are a developing problem for fitness facilities everywhere. As recent cases of both H1N1 and Staph. captured media coverage, people have become more aware of transmission risks, and they’ve grown very concerned. At clubs around the country, though, machines still are streaked with sweat after each use because disinfectants, cleaning towels and other cleaning supplies often are inconveniently located far from the equipment itself. That’s not good business in general. And if it leads to locker room chatter about dirty equipment, then you’re in real trouble. Moreover, clubs that use disposable paper towels and pre-moistened wipes incur hefty replenishment costs over time, while the products themselves end up in landfills and are not biodegradable – hardly an ideal Green practice. Industries change over time, and the fitness industry is no exception. People will always choose clubs based on many factors. But experts agree that cleanliness has quickly risen to the top of the list. Clubs that continue to ignore cleanliness will put their members at increased risk for illness – and leave their own reputations vulnerable. Either way, it’s not worth it – especially when an easy, inexpensive and Green solution is a simple phone call or mouse click away.